Waterproof Solutions in St. Louis wants to help you understand why rebar matters. Your dwelling may have problems, showing cracks in its foundation. We want to show you why it needs to be fixed, but also why it happens in the first place. Cracks in the foundation of your home or building can be serious. And a serious problem deserves a thoroughly researched solution. At Waterproof Solutions, we know there is no one-size-fits-all solution. Beware of anybody offering a quick and easy patented process. Every St. Louis home, every yard, every neighborhood, and every foundation is unique. So every foundation repair must also be “prescription-like” for the structure that is damaged. At Waterproof Solutions we like to teach as we repair. We want to foster a better understanding of the science that goes into this industry. We want homeowners to have a better understanding of what to look for when they are shopping for a home. So, you may be wondering, why do you have cracks in your concrete walls to begin with? 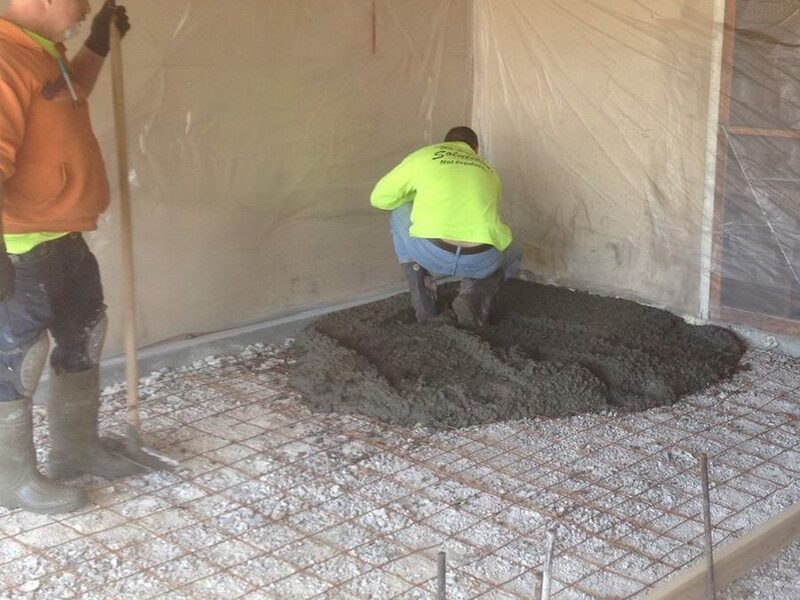 When concrete is poured for structures, a concrete cast mold is used. Inside this mold, round metal steel bars are added to give the concrete more strength when it dries. The metal bars are reinforced bars and this is commonly referred to as, rebar. When you look at your concrete walls, in the basement or garage, inside of those walls is the added steel rebar. Prior to being put in the concrete cast, the rebar has probably been sitting in a warehouse or on a job site. Like most metals, it begins to show signs of rust. Rust takes up greater volume than the steel in which it was formed. Rebar, when immersed in water can expand up to 7x its size. Concrete, while strong, can begin to be rigid and can crack easily. So, over time, when the rebar starts to rust and oxidize, it can cause the concrete to react to the severe internal pressure, thereby resulting in cracking, spalling and eventually even structural damage. Foundation problems can be scary because they can be expensive. If you have cracks in your concrete, call us. Waterproof Solutions can survey the damage and explain the problem that led to the damage in the first place. We’ll then offer permanent solutions and talk you through the options. We can do a thorough inspection of your foundation problem, offering insight into why it is happening and the best possible way to fix your foundation problem. Don’t be afraid to contact us with your questions. At Waterproof Solutions, we’ll always give you the most honest and direct answer we can.